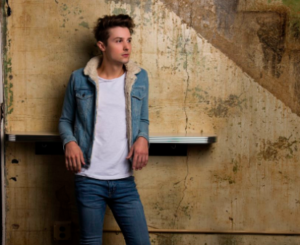 Ryan Follese had a semi-hit earlier this year in the country world with Put A Label On It. I think he’s still on the Big Machine roster. And obviously those folks have it all going on in the country and pop worlds right now. They usually don’t miss when it comes to breaking a new artist. And it seems like they’re willing to stick with a new artist for a few singles until one breaks. Will this be that one for Ryan Follese? It has a good sound. This song is about that feeling you get when you’re falling in love with someone. It’s the person you want to spend all your time with. You’re getting together for a date. You spend the whole night talking and before you know it the entire night has passed. And the crazy thing is that you’re not even really that tired the next day. You didn’t get much sleep, but the adrenaline of being with this person and in this new relationship somehow keeps you going. I don’t know how long this period lasts for people. I think for me and my wife it lasted at least a few months. We still look back on that time and wonder how we stayed awake in those early days. This is a great song from Ryan. It’s catchy. It’s a great angle on the whole love thing. It sounds like something that could be a hit.